Big shot companies use outsourcing as a medium to increase the strength and flexibility of their business. Hence BPO (Business Process Outsourcing) contributes a lot into such a scenario. It has risen as the largest growing business in India as laying off some of the burden from the companies given them extra time to focus on their core competencies. Today, India is considered as the largest BPO industry with a $20 billion BPO-space. Below is the list of the top 10 best outsourcing companies in India. Have a look. Genpact is a business processing and technology management company primarily dealing with outsourcing and technology services since 1997. Genpact is the largest BPO Company in India with 65000 employees working under its roof. The company has an annual turnover of $1.5 billion. Tata Consultancy Services BPO is a fully owned subsidiary of the Tata Group that could become the second largest BPO after Genpact to cross the mark of $1 billion annual revenue. Today it has over 34000 working professionals contributing to 11% of the total revenues of the organisation. Serco Global Services is a large global business outsourcing provider company spread over America, Europe, UK, Middle East, Africa, Asia, and Australia. It has its corporate offices in Gurgaon, Haryana. The annual turnover of the company is about $1 billion. Aegis Limited is a global business outsourcing provider company with its BPO business empire spread across 11 countries. The annual turnover is $700 million and currently employs more than 55000 people. It has its headquarters set up in Mumbai, Maharashtra too. WNS Global Services is a global outsourcing service provider company providing its excellent service to more than 200 global and local clients. It has its headquarters set up in Mumbai, Maharashtra. WNS is able to generate annual revenue of$616 million with its 25000 employees. Wipro BPO is known for delivering strategic business outsourcing services and solutions with improved service levels every time. Its business contributes to around 8.5% to the company’s total IT services revenue of over $5 billion. The annual revenue turnover is $490 million and employs over 21000 employees in the organizatin. Infosys BPO is a fully owned subsidiary of Infosys Limited with its corporate offices located in Bangalore, Karnataka. The BPO has an annual turnover of $470 million with 24,634 employees working hard to bring effective results every time. Aditya Birla Minacs, a business processing service provider that started in 2007 is a subsidiary of Aditya Birla Corp. Its headquarters are in Bangalore India, Toronto Canada, and Farmington Hills Detroit. 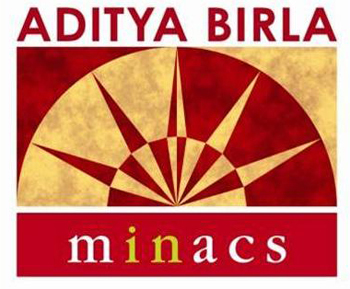 Aditya Birla Minacs has been able to put up a turnover of $438 million in six years with 21000 active employees. HCL BPO has been providing efficient services in the field of finance, accounting, supply chain management, and human resource. It is headquartered in Noida, Uttar Pradesh. It came to the market in 2003 and ever since has grown with a turnover of $200 million. Firstsource is one of the finest global business outsourcing companies in the country. Located in Mumbai, Maharashtra it is spread across India, US, Ireland, Philippines and the UK. The company manages a turnover of $138 million with 26000 employees almost every year.